Sometime around 1846 (date of the earliest known use of the Alexandrias), postmaster Daniel Bryan (who held that office from 1821 to 1853) was responsible for a typeset issue of 5 cent adhesives in two types, and printed on buff and on blue papers. Of the buff papers, two covers are known with Type I and three with Type II. 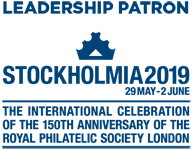 The only blue paper stamp, the famous “Blue Boy” cover, bears Type I. In addition, there is one Type I on Buff off cover (and one of the Type IIs was separated from its cover). 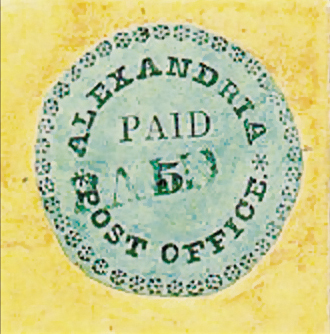 The first Alexandria stamp was found by John K. Tiffany in his family correspondence, in 1872. The others were found as late as 1933. Many of the ones on cover are uncancelled; two show manuscript “N° 45” or “N° 70” below the denomination. 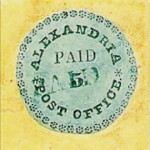 The latest known use of the Alexandria Provisionals is that of the “Blue Boy” cover, with its original contents dated November 24, 1847 − well after the first Federal Issue had appeared. November 25 (1847) datestamp and “PAID” handstamps. When Worthington’s collection was sold to pay his debts, the “Blue Boy” was not included. Together with other choice items, it was handled by dealer Warren Colson. who sold it to Henry Gibson. Later owners included Alfred Caspary, B.D. Phillips, Josiah Lilly and John Boker, Jr. The cover is signed by Alberto Diena and David Feldman. Illustrated by John Luff in his pioneer handbook on the Provisionals, also by Linn’s “Philatelic Gems,” the Williams Brothers “Encyclopedia..” (who gave the date as 1846, in error), the Anphilex 1971 and the Washington 2006 catalogues. From the time in 1981 when this cover was sold by Private Treaty by David Feldman to its present owner, for approximately one million dollars, it has remained the benchmark for a cover of USA philately, not even exceeded by the recent rediscovery and sale of the unique 1869 90c cover, or the earliest known use of the 1847 First Issue 10c Washington. It came at the end of the letter, a simple instruction from one lover to another in 1847. 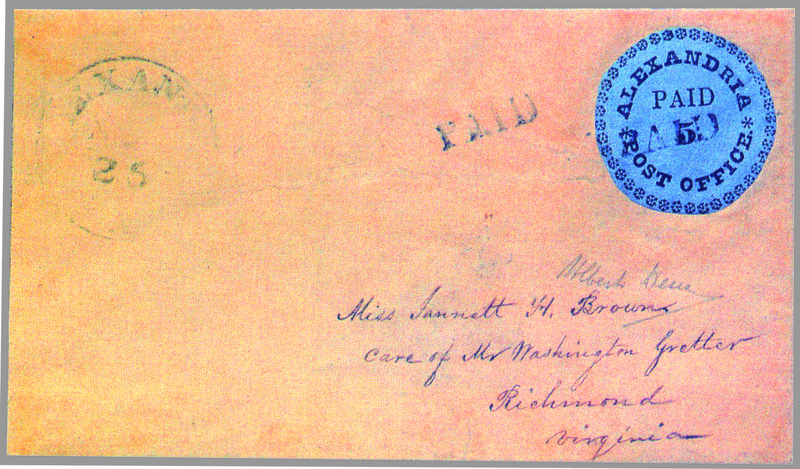 Fortunately, this love letter and its famous cover were saved, because the cover bears the only known example of the Alexandria, Virginia, postmaster provisional stamp printed on blue paper. While the cover was sold in 1907, the letter inside remained in the family of the addressee, its contents unknown. At Washington 2006, the cover and its contents were shown together in the Court of Honour for the first time since they were separated in 1907.